UPDATE: This post has been re-published as an article in spiked (here). The media is in a frenzy over Goldman Sachs. 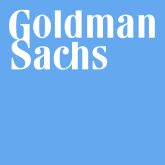 On Friday the Securities and Exchange Commission (SEC) charged Goldman Sachs of securities fraud in a civil lawsuit. The SEC claims that the Wall Street giant deceived clients by selling them a subprime mortgage investment that was intended to fail. The investment vehicle created by Goldman, called Abacus 2007-ACI, was a Collateralized Debt Obligation (CDO). As an incisive Wall Street Journal editorial notes: “By definition, such a CDO transaction is a bet for and against securities backed by subprime mortgages. The existence of a short bet wasn’t Goldman’s dark secret. It was the very premise of the transaction.” In other words, a CDO will have investors on both sides: those taking long positions (betting it will increase in value) and those taking short positions (betting it will decline). The fact that it was a “synthetic” CDO – which means no cash investment was made in the securities themselves, just a bet on how they would move in value – indicates how it was designed for pure speculation. At the time the investments were made, there was no certainty that the funds would fall in value. Many were still bullish on the subprime market. And if the assets had risen in value, would the SEC be charging Goldman today? The claim against Goldman is that it did not reveal that hedge-fund manager John Paulson helped to select the securities. But at that time, Paulson was a virtual nobody (he became famous later as he made billions by betting against the housing market). As John Tamny notes in Real Clear Markets, “Back then Paulson was not taken seriously, and if his role had been known, it’s a fair bet that client demand for Abacus would have been even greater.” So why did Goldman have, as the SEC asserts, the obligation to inform potential investors that he was on the other side? Yes, Paulson identified the securities he wanted to bet against, but not all were ultimately selected, as he did not have authority to make the final selections (ACA Management had the final word, as even the SEC admits). Paulson could not get all the assets he wanted in the package, as there needed to be those on the other side of the trade who would agree to buy. The media is excited about the “billions” involved. In fact, Paulson made about $1 billion. Which, in the world of investment banking and toxic assets, is akin to Dr. Evil’s ransom claim for “one...million...dollars”. Goldman itself lost money on the deal ($90 million), making it a fraud to deceive... itself? It appears that only one Goldman executive, Fabrice Tourre (who referred to himself as “Fabulous Fab”) was involved, with no connection to the top executive team. The case might drag on for months if not years, and, since this is a civil (rather than criminal) case, the most that is likely to happen is that Goldman, if found guilty, would face a fine (that would probably represent a tiny portion of its assets). So, it is not clear-cut whatsoever that Goldman broke the law, but if it did, the offense will not be a major one, nor will the company face a devastating penalty. Goldman's reputation would be damaged. But, overall, not much will have objectively changed, whatever the verdict. But in another sense, I get why the Goldman story has caused such a fuss. And it’s got nothing to do with the details of the case, which, from what I can tell so far, most people aren’t bothering to try to figure out. The first reason has to do with short-term political expediency. The Obama administration, Senator Chris Dodd and other Democrats have jumped on the Goldman case to try to push through their financial reform legislation. Never mind that the reforms do not address the issue at stake in the Goldman case. The award for rank political opportunism, however, must go to British Prime Minister Gordon Brown. In the midst of the country’s general election and his party trailing in third place, Brown took the opportunity to complain about Goldman, even though his government has only an indirect connection to Goldman and the case (the bailed-out Royal Bank of Scotland inherited a loss of $841 million after acquiring ABN Amro, which made the brilliant decision to insure the securities). As Brown told the BBC: “We need a global financial levy for the banks. We have to quash remuneration packages, such as Goldman Sachs’. I cannot allow this to continue.” Note the multiple non-sequiturs: a “global financial levy” has nothing to do with preventing Goldman from creating CDOs or disclose who bets on them; “remuneration packages” reminds people that bankers get big bonuses, but the SEC is not charging Goldman with being overpaid; and the reference to “I cannot allow this...” is just bizarre, as if Brown himself was going to bring Goldman Sachs to justice. But the real driving force behind the rush to condemn Goldman - even more than short-term politics - is the desire to put a face to a simplistic, conspiratorial version of the financial crisis story. The authorities are presenting us with a morality tale, and Goldman has now been chosen as the big, bad villain. It is as if, unless we find an evil-doer committing a crime, we haven’t really got to the bottom of the financial crisis. A New York Times lead editorial states: “We urge everyone to keep a close eye on this case. If it is handled correctly, it should finally answer the question of whether malfeasance – and not merely greed, incompetence and weak regulation – was also responsible for the financial meltdown.” Great: first we were told bankers were greedy; now we’re being told they’re crooks too. What a tremendous advancement in our understanding of economics. Deals like the one Goldman is accused of arranging did not cause the financial panic. More generally, Goldman and other investment banks were not the only ones implicated in the financial crisis either. The problem of an imbalanced economy skewed towards an overgrown financial sector was (and remains) systemic, the result of both an underperforming non-financial sector as well as an expanding financial sector. And, most importantly in political terms, a proper reckoning would recognize the role that the political class played in facilitating the financial blow-up. Targeting Goldman as the deceptive mastermind has the huge advantage for politicians of diverting attention and blame away from themselves. The Goldman case will be a big deal, but not because it deserves to be. These kinds of transactions are so arcane and difficult for the average person to understand and that makes it easy for the Obama administrations to take advantage of people's fear and anger. It's politically expedient. I'd like to hear your thoughts on some sort of regulatory reform that might help to prevent these kinds of disasters. What was the precise arrangement for how the individual underlying assets were selected and what the conveyed understanding of that selection process? If the long position examined the underlying, I see no case. If the long was told "the underlying assets have been selected by a 3rd party expert on the basis of their being good assets" then there is more of a case. I don't know how this would be possible however as you would have to have transparency on the results in order to have a clear payout ex-ante. I meant ex-post, not ex-ante. Alex - From what I've read, it seems that the buyers (long) were absolutely clear about which assets they were being offered. The SEC is claiming that Goldman should have also told the buyers that Paulson was involved in the process of selecting the assets - that this was a material fact that might have led the buyers to think otherwise. So the issue hinges on whether the non-disclosure of Paulson's involvement is truly material. But I see an argument that says, buyers knew what the assets were, it was up to them to conduct an independent assessment; and furthermore, the buyers knew that there were going to be shorts on the other side, otherwise there couldn't be a deal. Moreover, it's not enough to say, "these assets were bad", because by definition, the assets were not of great quality - everyone knew they were derived from subprime mortgages. But not everyone was betting that they would drop in value. I'm sure we'll learn more of the details over time, and especially if this ends up in court.